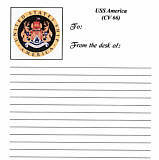 Aircraft Carrier Emblem Desk Pads for Desks. 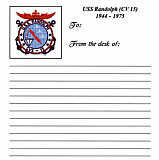 The Aircraft Carrier Emblem Desk Pads. 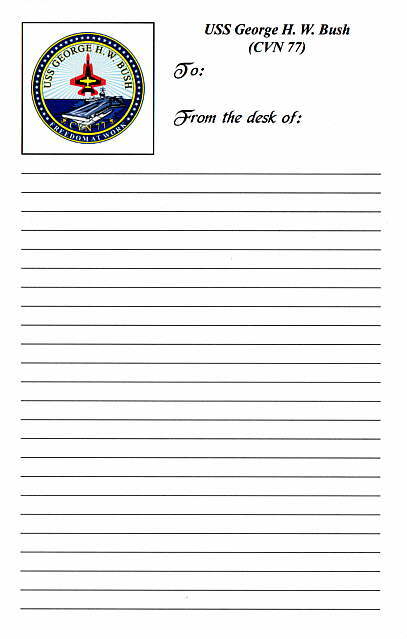 USS Ronald Reagan (CVN 76) Desk Pad. 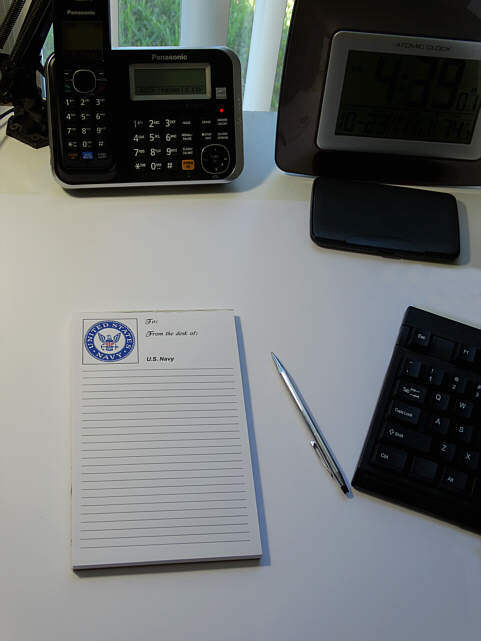 These Desk Pads/Memo Pads are 5.5" x 8.5" in size, have 50 easy tear off sheets/pad. 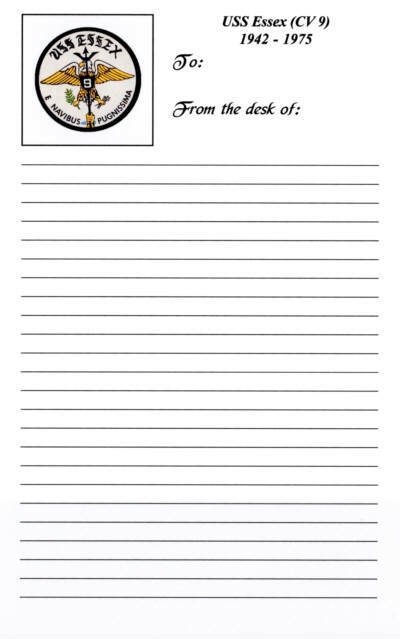 They are lined and have a stiff Cardboard Backing. FREE Shipping within the contiguous 50 States via USPS, First Class mail. 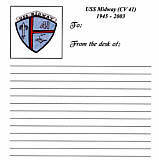 Aircraft Carrier Emblem Desk Pads. 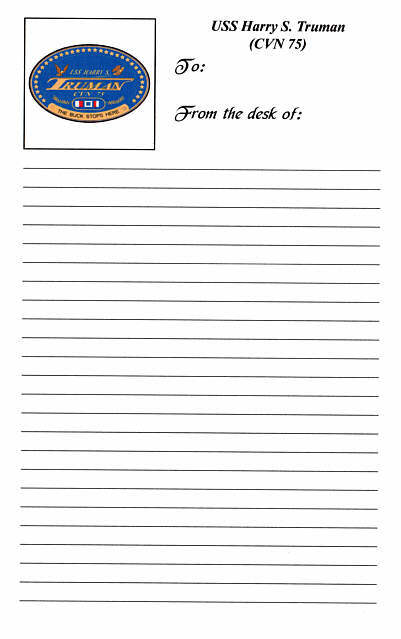 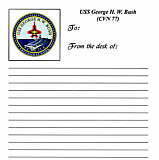 DECV_770 USS George H. W. Bush (CVN-77) - Desk Pads/Memo Pads. Product Details on Desk Pad prices and Specifications. 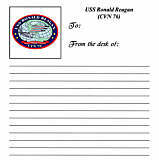 DECV_760 USS Ronald Reagan (CVN 76) - Desk Pad/Memo Pads. 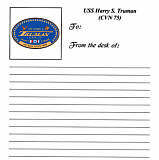 DECV_750 USS Harry S. Truman (CVN 75) - Desk Pad/Memo Pads. 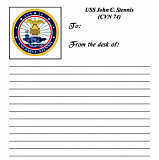 DECV_740 USS John C. Stennis (CVN 74) - Desk Pad/Memo Pads. 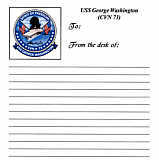 DECV_730 USS George Washington (CVN 73) - Desk Pad/Memo Pads. 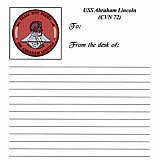 DECV_720 USS Abraham Lincoln (CVN 72) - Desk Pad/Memo Pads. 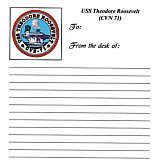 DECV_710 USS Theodore Roosevelt (CVN 71) - Desk Pad/Memo Pads. 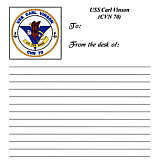 DECV_700 USS Carl Vinson (CVN 70) - Desk Pad/Memo Pads. 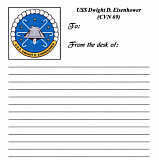 DECV_690 USS Dwight D. Eisenhower (CVN 69) - Desk Pad/Memo Pads. 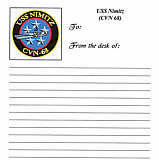 DECV_680 USS Nimitz (CVN 68) - Desk Pad/Memo Pads. 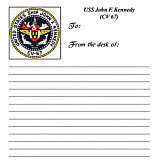 DECV_670 USS John F. Kennedy (CV 67) - Desk Pad/Memo Pads. 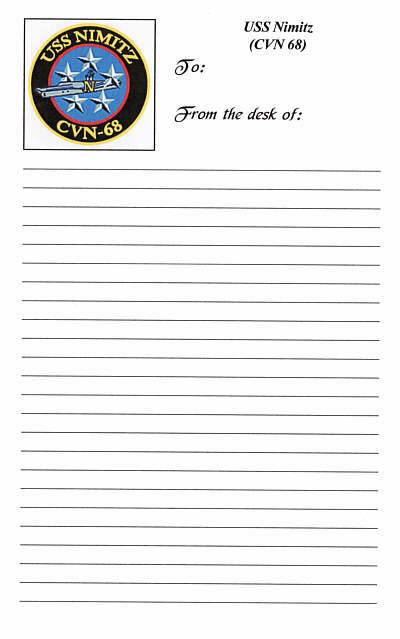 DECV_660 USS America (CV 66) - Desk Pad/Memo Pads. 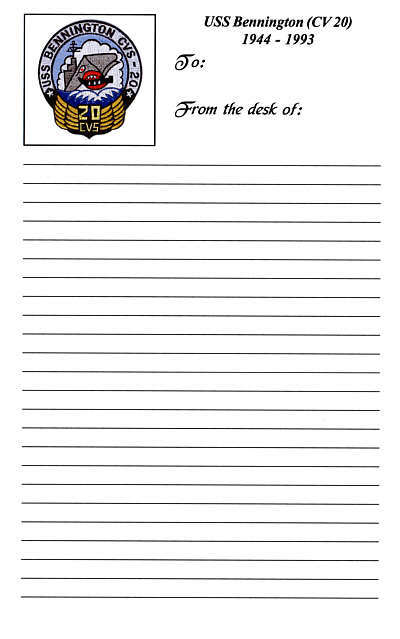 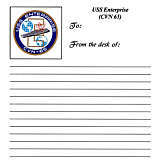 DECV_650 USS Enterprise (CVN 65) - Desk Pad/Memo Pads. 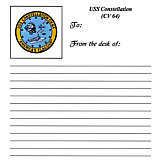 DECV_640 USS Constellation (CV 64) - Desk Pad/Memo Pads. 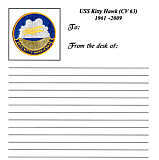 DECV_630 USS Kitty Hawk (CV 63) - Desk Pad/Memo Pads. 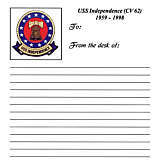 DECV_620 USS Independence (CV 62) - Desk Pad/Memo Pads. 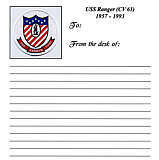 DECV_610 USS Ranger (CV 61) - Desk Pad/Memo Pads. DECV_600 USS Saratoga (CV 60) - Desk Pad/Memo Pads. 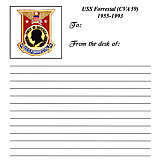 DECV_590 USS Forrestal (CV 59) - Desk Pad/Memo Pads. 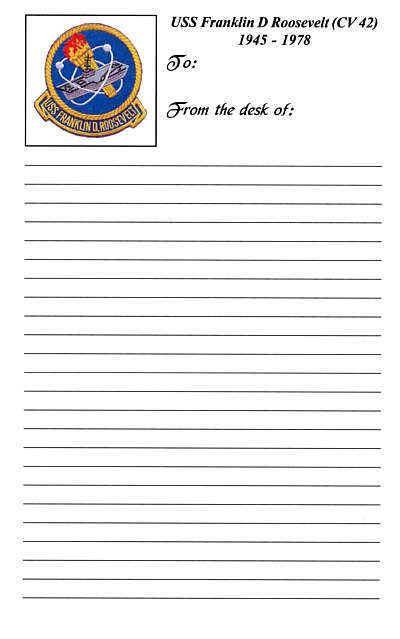 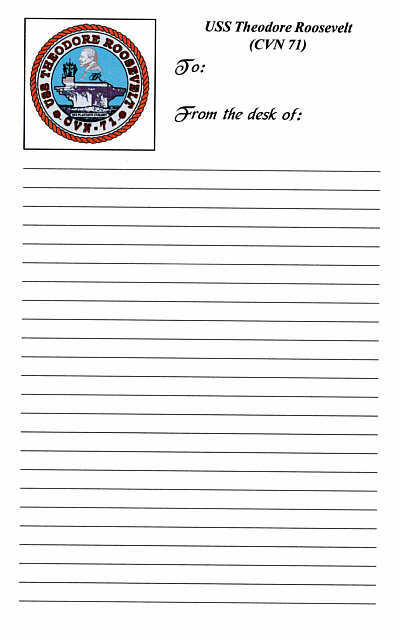 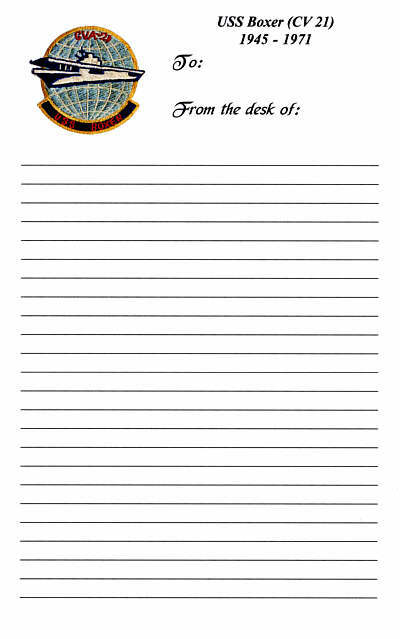 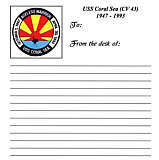 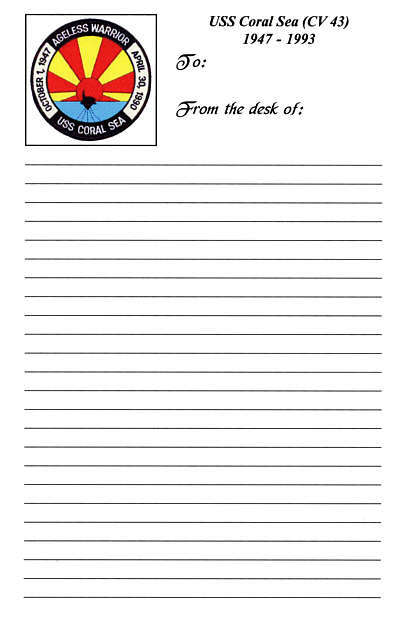 DECV_430 USS Coral Sea (CV 43) - Desk Pad/Memo Pads. 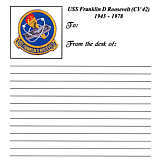 DECV_420 USS Franklin D. Roosevelt (CV 42) - Desk Pad/Memo Pads. 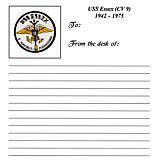 DECV_410 USS Midway (CV 41) - Desk Pad/Memo Pads. 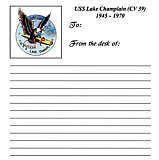 DECV_390 USS Lake Champlain (CV 39) - Desk Pad/Memo Pads. 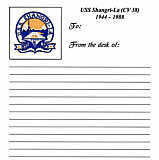 DECV_380 USS Shangri-La (CV 38) - Desk Pad/Memo Pads. 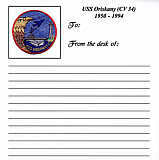 DECV_340 USS Oriskany (CV 34) - Desk Pad/Memo Pads. DECV_330 USS Kearsarge (CV 33) - Desk Pad/Memo Pads. 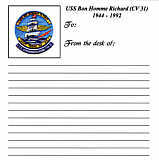 DECV_310 USS Bon Homme Richard (CV 31) - Desk Pad/Memo Pads. 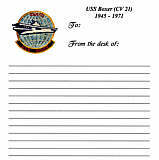 DECV_210 USS Boxer (CV 21) - Desk Pad/Memo Pads. 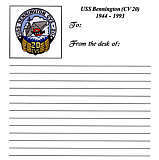 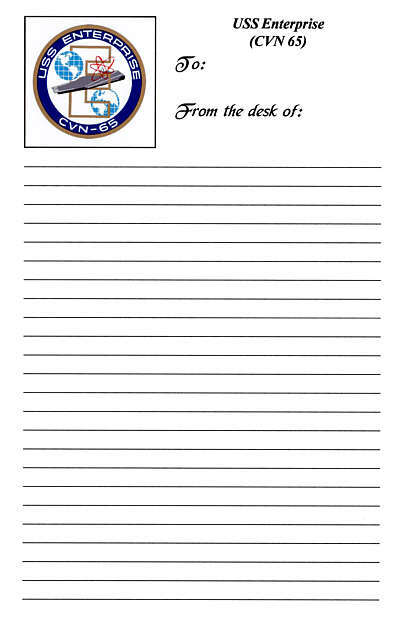 DECV_200 USS Bennington (CV 20) - Desk Pad/Memo Pads. 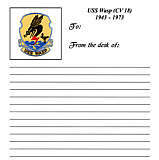 DECV_180 USS Wasp (CV 18) - Desk Pad/Memo Pads. 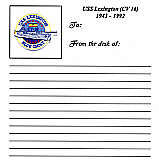 DECV_160 USS Lexington (CV 16) - Desk Pad/Memo Pads. 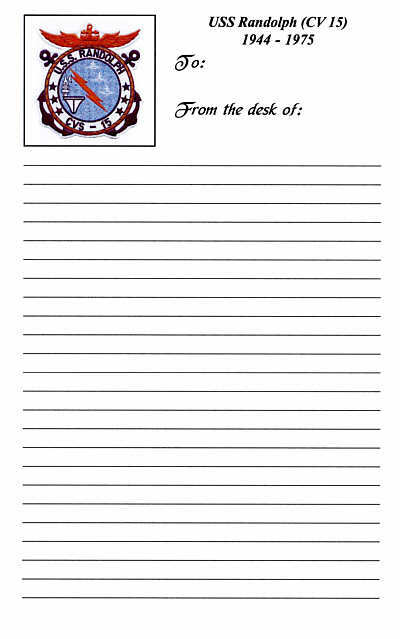 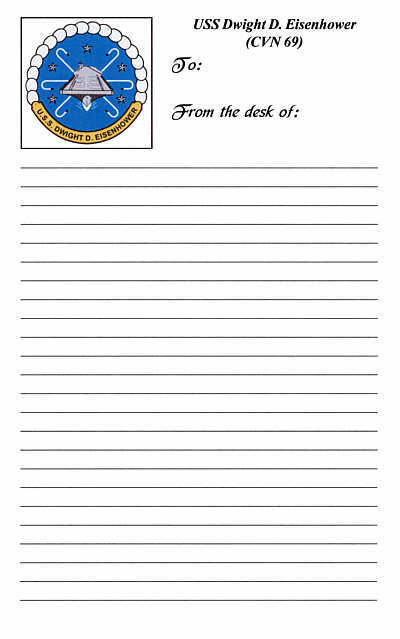 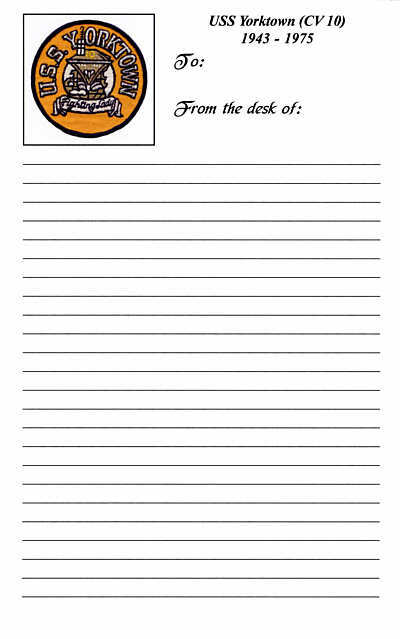 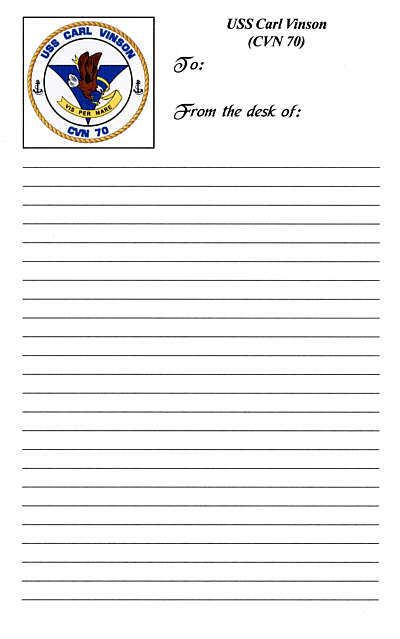 DECV_150 USS Randolph (CV 15) - Desk Pad/Memo Pads. 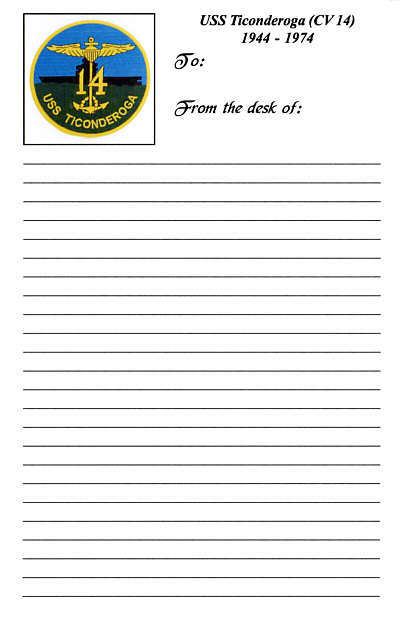 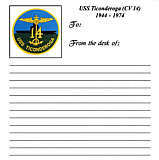 DECV_140 USS Ticonderoga (CV 14) - Desk Pad/Memo Pads. DECV_120 USS Hornet (CV 12) - Desk Pad/Memo Pads. 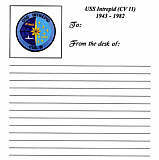 DECV_110 USS Intrepid (CV 11) - Desk Pad/Memo Pads. 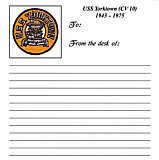 DECV_100 USS Yorktown (CV 10) - Desk Pad/Memo Pads. 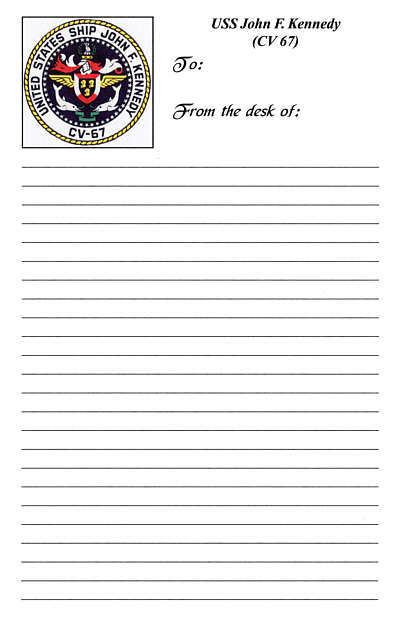 DECV_090 USS Essex (CV 9) - Desk Pad/Memo Pads. 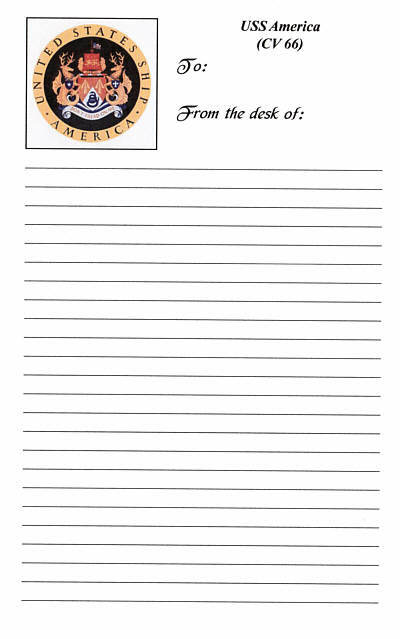 Home A-Z Printed Product Index Desk Pads/Memo Pads Directory. 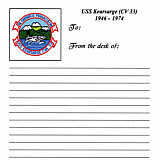 Aircraft Carrier Emblem Desk Pads available from wv-prints.com.